MIXED BAG MAG IN OTTAWA: What’s Happening This Week! While in Ottawa this summer to cover Sakahàn at the National Gallery I discovered a lot about this city that I love so I decided I needed to spend more than a weekend and more than a week – why not an entire month?! Turns out I came at a great time! Despite the dull November sky there are some vibrant events happening this week. Chikonzero Chazunguza, “Tigere Muupfu?/Sitting Pretty?”, 2013, at Gallery 101 from Gallery 101 on Vimeo. Akram Khan is truly one of the most visionary dancers / choreographers of our time.. 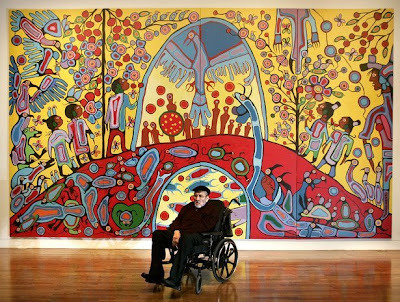 Experiencing his work at Luminato 2011 has been one of the highlights of my life! More info on the event on their NAC’s website. Purchase tickets online here. “World-class, award-winning, and Oscar-submitted films from 27 countries across the European Union! Special guests welcomed this year include Tahar Rahim, lead actor from the Cannes-selected Grand Central (France), as well as Matthias Drescher, producer of the acclaimed drama Shifting the Blame (Germany). More information on The Canadian Film Institute Website. View the Gallery of all the banners. Want to know all about what is happening in both the Canadian and International Culture scene? Like us on Facebook or follow on Twitter @mixedbagmag!